My name is jair, I am from Colombia. I am creating my own hostel with lot of ideas (in terms of service) that I took after having traveled around Europe and The US. 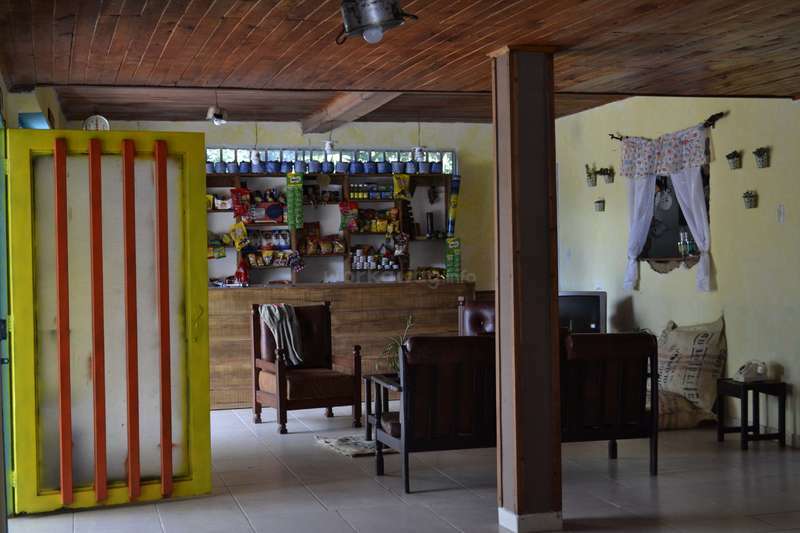 Nevertheless, the Hostel in terms of architecture and design is going to be all about Colombia and its traditions. The project is located in Armenia. This is the region where the best coffee of the world grows. I want to create a very different experience for tourists. I´d like to show them a bit of Colombia´s beauties, and also, I want to involve the local people, because Colombia it´s not just full of beautiful nature, landscapes, and delicious food. It also has talented and inspiring people. I am creating public activities so locals and foreign can share and get to know about their cultures, also we will promote activities to preserve the natural resources, Colombian aborigines cultures, supported local artist, and more. 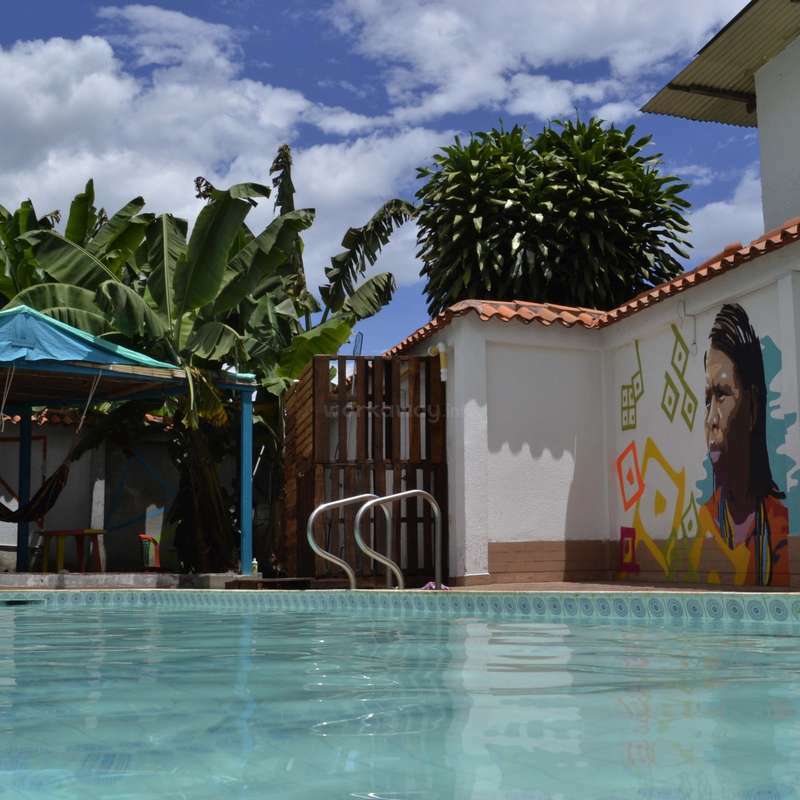 I would like the hostel to be another great reason for travelers and backpackers to fall in love with COLOMBIA. If you would like to be part of my dream, live in Armenia, and have a wonderful experience, developing this great idea, please join me! Travellers will have the opportunity to meet a destination declared as a world heritage by the UNESCO. They will also have the opportunity to learn about the whole process of coffee from the farm to your cup, to see amazing landscapes of the region, to experience the real traditions of Colombia with natives, their music, costumes and food. They will have the opportunity to meet a lot of people through our cultural activities with the people of the region, to practice and learn about our language, to try our main dishes and desserts! 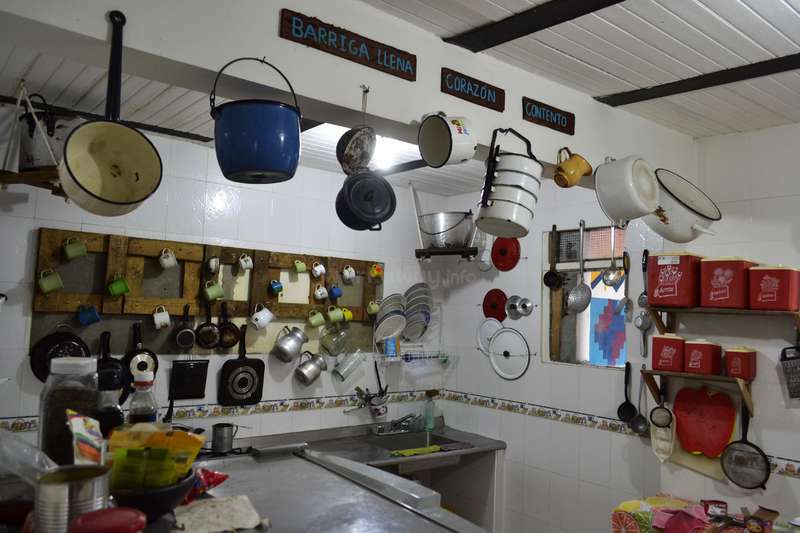 Travelers can actually learn how to cook with Colombian style! I am looking for a volunteer who can help me (in general) making this dream come true. I just opened the hostel so, any kind of help including gardening, painting, creating art, or general maintenance would be very appreciated. I am also looking for someone who loves creativity and who can help me doing marketing for the hostel, creating posters and banners in social media so we can promote the hostel in a really fun and original way. Help is also needed for front desk, house keeping, feeding our pets.....etc. Armenia is an amazing city located in the heart of the region of coffee in Colombia. 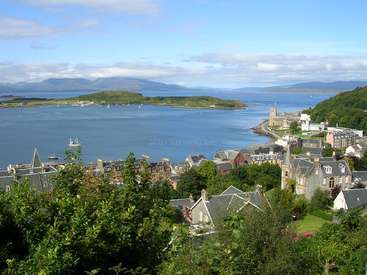 There are plenty of little old towns and nature around our hostel, so we can take you there and show you around. We would love to teach you more about our culture, our food, our words, our language, our customs and of course our places! towns like Salento, Filandia, Quimbaya, Calarca, Buenavista, Montenegro, Cordoba, Genova, Circasia, Tebaida, Pijao; and natural beauties like The Cocora Valley, The National Park of "Nevados", The Cauca River, PANACA, The National Park of Coffee, The Botanic Garden are some of the places that we would love to take you around on yoru free time! If you want to travel to further places in Colombia, we would totally advice you where to go! places that the tourists are not even close to reach, but you will! Quedé un mes en el mejor hostel del eje cafetero y si no tenia un billete de avion seria todavia alla. Llegas en el hostel y te sientes como en tu casa. El lugar es lleno de buena energia. Jair el dueno y sus dos mascotas (Jaguarito y Sally) son puras buenas ondas. El trabajo es sencillo y no pareces tabajar como tal sino que ayudar y dar de tu… read more buena onda al lugar o sea vas a trabajar en un ambiente super chevere! Todo es reunido para pasar momentos re buenos y inolvidables. Muchas gracias por este mes. Jair es una persona con una energia increible, con muchas ideas y ganas de trabajar. muchas gracias por, su energía, buena vibra, personalidad, compromiso, respeto, y alegría que tuvieron durante el voluntariado, gracias por meterle el corazón a este parche, todo ese amor que dieron se quedará aquí y es lo que hace mágico este lugar. RECOMIENDO este par de personajes para la persona que necesite una mano extra,… read more fue muy bueno alojarlos, nos vemos morenos!!! Si su plan es conocer el eje cafetero, deben conocer este sitio. Hemos tenido una experiencia hermosa, muy relajada, mucha buena onda. Jair, es una persona super agradable, siempre pendiente para que te sientas comodo y a gusto con el lugar. Se encuentra, ademas en un lugar estratègico, lo cual te permite conocer los magicos pueblos que se… read more encuentran al rededor de Armenia. Recomendamos mucho este voluntariado, conocer la zona, y a Jaguar, el pitbull mas hermoso del planeta tierra. I stayed here for three weeks and had a very, very nice time. 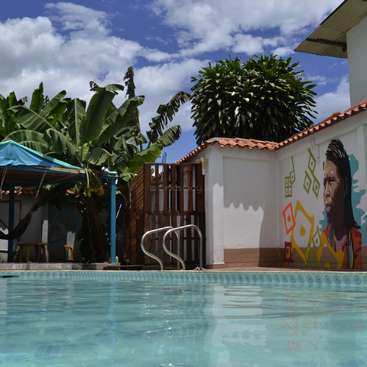 The hostel is a beautiful, relaxed place, Jair, the other volunteers and also the guests were really nice and cool and there is enough to do to not get bored but you also have your free time to explore the eje cafetero or just hang around at the pool, in the hammock or play pool.… read more Couldn't have been better. Un abrazo parcero, espero que nos veamos de pronto! I will start by saying that I came for two weeks and in the end stayed two months here... I think that tells a lot :) The place is very beautiful. The hostel is pretty new so there are plenty of opportunities to get creative and do something here - whether some decoration or some fixing or some organizing. Daily tasks vary and you get to try… read more everything possible in the daily hostel operations, so you don't get bored. 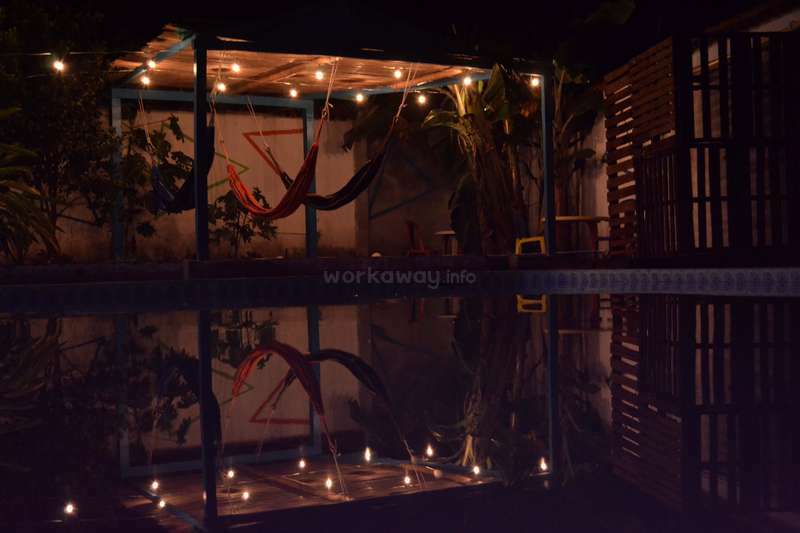 During the free time you can enjoy swimming pool, billiard, do yoga in the garden, or meditation in the little hidden terrace over the hammocks. And yes, of course, be lazy with a book in the hammock. The location is perfect to explore eje de cafe and the surrounding villages are super beautiful (hint: Pijao is my favourite, a must to visit ;)). It is also a great place to improve Spanish practicing it with Jair, other volunteers and the guests. And Jair, the owner, is a great guy. 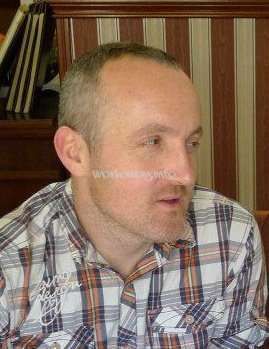 He is easygoing and friendly, well organized regarding the operations of the hostel, interesting to talk to. In addition to all of that, there is a super lovely dog and super adorable cat in the hostel. To sum up, I had a great time there, learnt a lot, explored eje de cafe pretty well and highly recommend to come volunteering here! I´m very glad you came to help me, thanks for everything, for your hard work and for all the great time we had working on this project. I hope you´re doing alright, hope to see you soon. You´re a really nice, and lovely person, i wish you just positive vibes always, let´s keep on touch, one day i´ll be heading colorado. 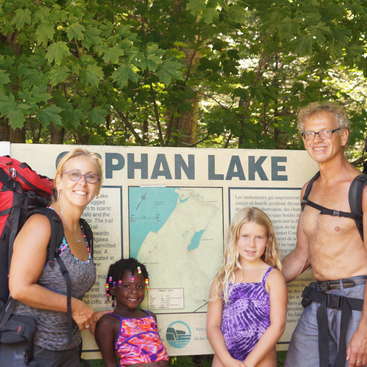 I stayed here for a little more than two weeks, and it was a great experience! 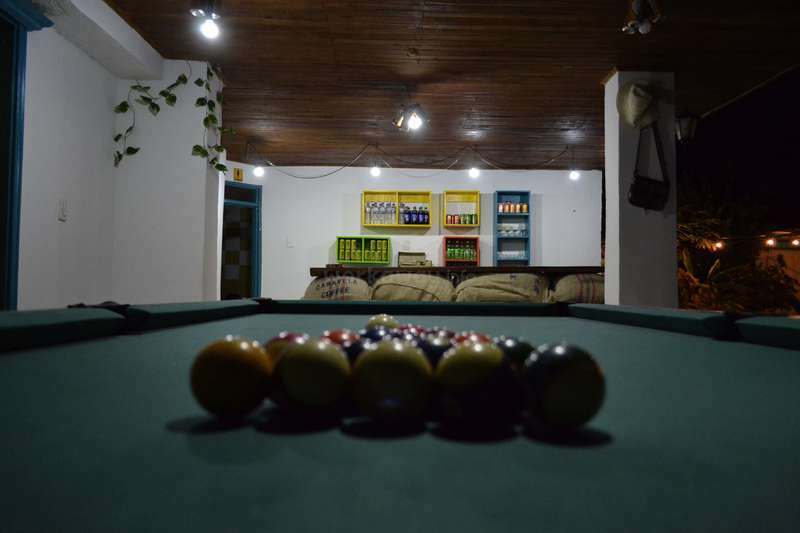 The hostel is a really nice escape from being in the middle of a city, with super chill indoor/outdoor spaces, a pool, a bar/games/hangout space and a big kitchen that's great for cooking. 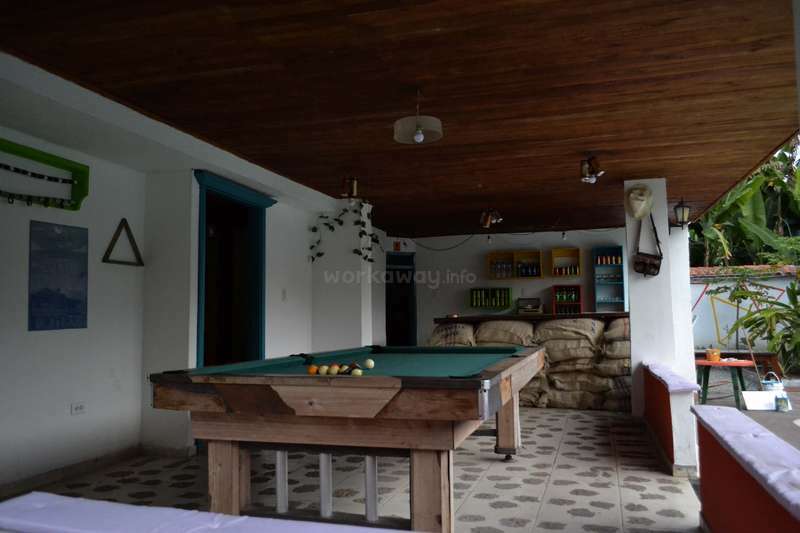 But the people really make a hostel, and both Jair and Caro are great hosts to… read more their guests and workawayers. 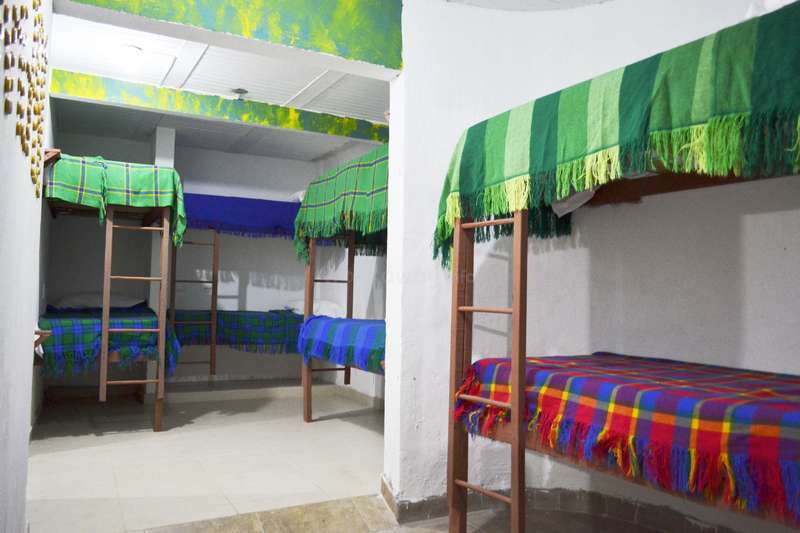 If you want to be part of helping a new hostel succeed, this is the spot for you. The work is varied, and if you have great ideas for promoting events and the hostel in general on social media, you'll have a good time here. While I was there a Colombian musician came by to play at the hostel, there was a movie night, rana tournaments and spontaneous salsa nights. It's also a good place to practice Spanish. Thank you Jair and Caro for being such great hosts! Muchas gracias por venir a darnos una mano, que nota haberlos conocido, y muchisimas gracias por ponerse la camiseta y haber dado todo para que las cosas en el hostal sigan mejorando, les mando un abrazo gigante, son parte de esta familia ... espero verlos de nuevo los quiero mucho parceros, las mejores vibras en la ruta. Hermoso lugar. Jair y Caro te hacen sentir como en tu casa y no dan ganas de irse. El hostel es increíble, con pileta, pool, sapo y mucha buena onda. El trabajo es relajado y se hace muy llevadero. Jair siempre está pendiente de la opinion de los voluntarios sobre cualquier aspecto a mejorar del lugar. Gracias por el tiempo compartido, súper… read more recomendable este lugar. Saludos!!!! chicas, gracias por todo! gracias por pertenecer a la familia y por aportarnos su grano de arena, los mejores deseos , ustedes nos dejaron buenos momentos. Son aplicadas, responsables, ingeniosas, hacen un excelente equipo! Camilo! gracias por ser parte de la familia, tu amabilidad, cortesía fue una constante, la disposición y la buena energía que siempre proyectas es una de las mejores cartas de presentación. Te deseamos un buen viaje y parce éxitos y bendiciones. Que buena vibra! Even if I stayed only one week at Jair's hostel, I left a piece of my heart there! The work was easy and the atmosphere was always friendly and welcoming (I was lucky enough to get a great company of co-volunteers!) plus, Jair made me feel at home from the first day. Thank you for this amazing experience, I hope to visit again! Buenos momentos que pasamos, quE bueno conocerlos. Espero verlos nuevamente, gomelitos argentinos..... Las mejores… read more papa.... Vuelvan cuando quieran!!! La verdad que no sé cuanto tiempo nos quedamos en el hostal porque cuando la pasas bien el tiempo vuela. Gracias Gomelito por hacernos pasar unos días estupendos, por la ayuda que nos brindaste y por las risas compartidas. Sos una excelente persona, con muchos proyectos en mente para hacer del hostel un lugar fantástico que no dan ganas de irse.… read more Te deseamos todo el éxito y no te olvides de los mejores Argentinos que pudiste haber conocido jajaj .. Parcero!!! Was awesome meeting you, i learn a lot as well having you here, thanks for everything, for the crazy stories you have, and for being such a nice guy... I hope i'll see you again one day.... Maybe back in england!!! Wish you just positive vibrations always boss!! I really enjoyed being at Jair's hostel. There is a very positive vibe, the atmosphere is very relaxing and most importantly it really helped me Spanish! 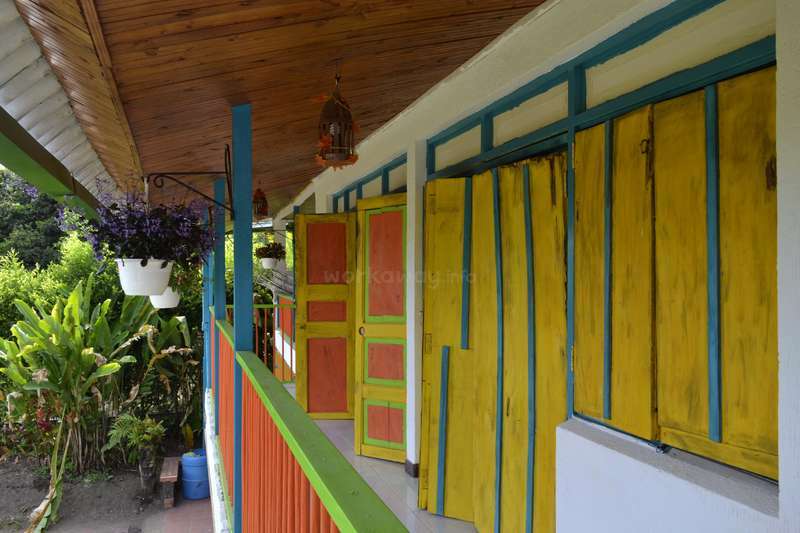 The hostel is located a short bus ride from Armenia town centre in a really pretty location. 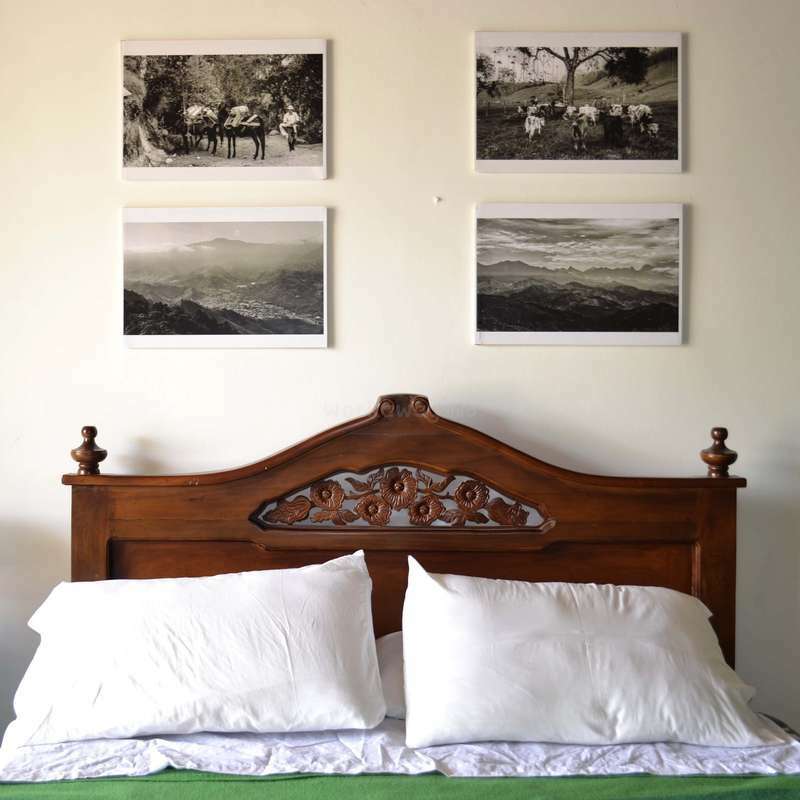 The staff and the owner all know exactly what makes a good hostel and everyone is on the same… read more wavelength. Jair taught me a lot about the hostel, the people, the food and about life and thinking in general. There is a very homely atmosphere! I only stayed two weeks but if I didn't have to make a flight I would've loved to have stayed longer. Thanks a lot for the opportunity Jair and I hope I get to come back in the future! Saben que siempre estaré agradecido por todo lo que hicieron aquí, gracias por la alegría, la buena onda, las clases de cocina, yoga, el mate, por la amistad que hicimos, por ser parte del parche/familia/hermandad que se creo mientras estuvimos construyendo este sueño y sobre todo por las enseñanzas que me dejaron. Siempre serán… read more bienvenidas en el Hostel, las mejores vibraciones siempre para que puedan seguir su ruta, disfrutando lo que hacen, que chimba poder conocerlas, seguro nos seguiremos viendo. La verdad cada día de las tres semanas que nos quedamos aquí fueron de primera, como estar en casa. Mucho trabajo de lijado, pintura, carpintería, charlas, intercambio de culturas, torneos de pool, partidos de waterpolo, pegadas de carteles nocturnas, una gran fiesta y un viaje al valle de Cocora fueron algunas de las cosas que vivimos con la… read more familia/equipo que se armo, Por suerte creo que pudimos sumar y formar parte de este lindo proyecto de nuestro parcero Colombiano Jair. La verdad que la pasamos excelente. Lo recomendamos mucho. Muchas gracias Jair por dejarnos formar parte de este proyecto en tu vida un abrazo grande papa. Tes esperamos en Buenos Aires, Argentina para comer un asadito como te prometimos. Agradecido siempre estaré con ustedes, muchas gracias por venir a sumarse y a ponerse la 10 como lo hicieron, gracias por todas las enseñanzas, risas, comida, buenos momentos que pasamos, saben que siempre los llevare en el corazón papa!!!! Gracias por hacer parte de esa familia que creamos en estas ultimas semanas. Me alegra… read more saber que su legado se quedará para siempre en el Hostel, gracias por querer esta patria como si fuera la hermosa tierra argentina. No me despido de ustedes por que algún día nos volveremos a encontrar, estoy seguro. Espero todo les salga re bien, ya saben que si necesitan algo puedan contar conmigo. Si buscan trabajar relajados, estar en un ambiente de distensión, sentirse como en casa, disfrutar de la naturaleza, el sol y el agua, trabajar con una sonrisa y ganas.... les recomiendo sin dudar que vayan a este lugar. Una maravilla para los viajeros, un lugar para compartir y aprender.Este lugar sin duda nos robo el corazón. Jair querido,… read more inmensamente agradecidos. Gracias por dejarnos el espacio, por la confianza, por la buena onda y predisposición, por hacernos parte de este proyecto tan interesante, por enseñarnos y gozarla a la par. Es un placer trabajar con vos. Tenés una energía muy bonita que sabes transmitir, hiciste de un lugar extraño una casa para todos. Estamos felices de poder dejar unas pinceladas en tan precioso espacio. Podes contar con nosotros para lo que sea en donde sea, parcero te has ganado nuestro cariño y amistad, esto transciende tiempo y distancia. Vamos a volver, o nos encontraremos en otras tierras, ese día va a ser una fiesta! Que chimba que vinieron a ayudarme, muchas gracias por que todo el amor que pusieron en esto, muchas gracias por esa hermosa iniciativa que traen para COLOMBIA, eso demuestra que las fronteras son lo único que nos separa, por que todos somos hermanos y todos merecemos vivir en paz, que lindo ver que hay personas que creen que… read more colombia puede ser un país sin guerra. Los quiero mucho y siempre los llevare en el corazón parceros..... Saben que son bienvenidos siempre, nos vamos a ver pronto estoy seguro, así que por ahora es un hasta pronto . Eres la mejor!!!! Muchas gracias por tu ayuda durante tu tiempo aquí en el hostel.... Gracias por dejar el alma, por trabajar tan duro como si fuera tu proyecto, por siempre tener actitud positiva, por disfrutar cada momento, por esa energía tan bonita que tienes, por hacer parte de la familia. Sabes que eres bienvenida… read more siempre a tu casa en armenia, espero puedas lograr tu ruta hasta el caribe colombiano, y que puedas seguir ayudando a mucha gente como lo hiciste conmigo. Looking for motivated and talented profesional taylors, pattern makers and fashion designer, screen printers & designers for ecological fashion project in South of Tenerife.